It’s an Amperage Freeway, can Pump Up and Flow Thru 20 Amp of Electricity It does not BLOCK Electricity Flow at 6 Amp like all Old Gen Adapters do!! Safety Shutters and Insulated Power Pins are STANDARD safety requirements in all European countries. 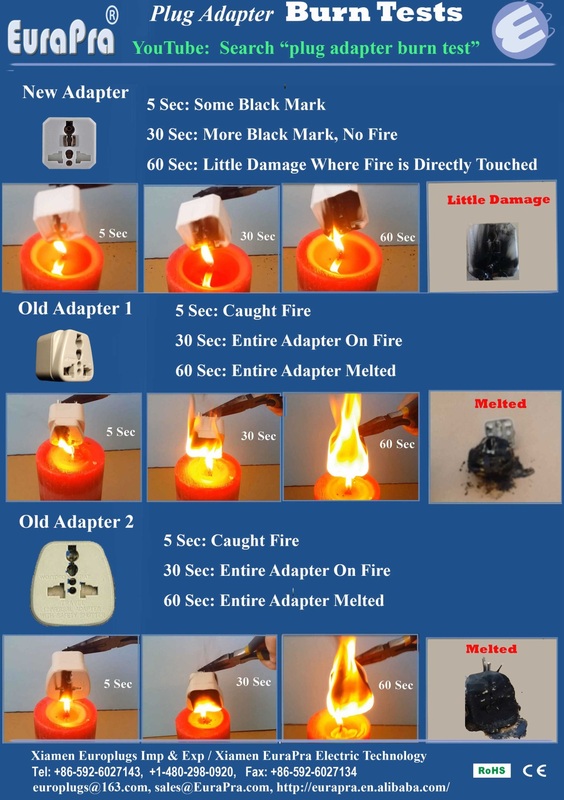 They are designed to prevent accidental electrical shocked by 220/230 Volt electricity, which can be deadly, especially for young children (shocked by NEMA 6/20 20 Amp 250 volt electricity is absolutely deadly, by 230 volt 16 Amp is equally dangerous). We in US use 125 volt electricity (used to be 110 volt). 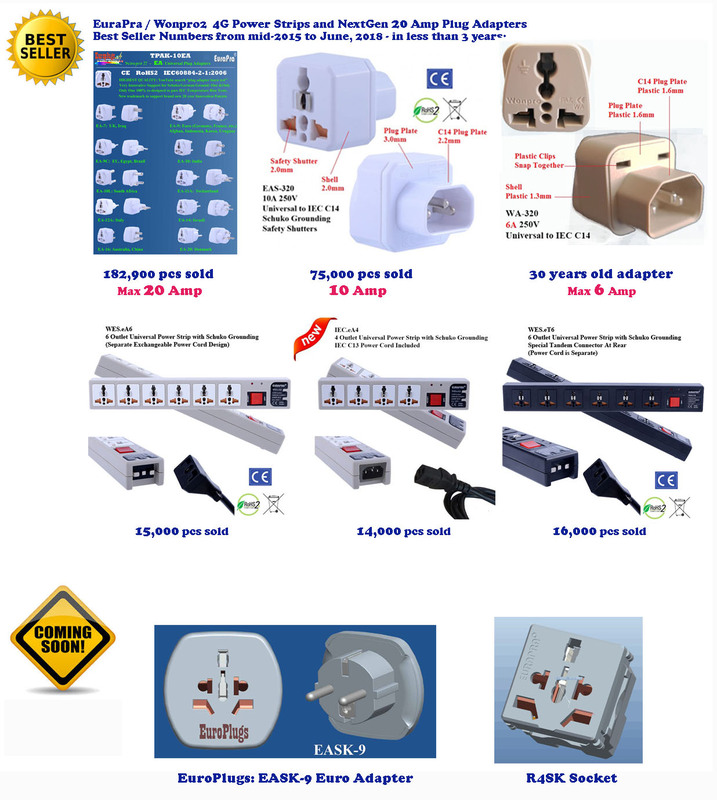 We totally ignore this European standard safety requirements – Even When We Buy Plug Adapters To Use IN EUROPE – due to our ignorance and the lack of good adapters with easy to use safety shutters to support US plugs. But, our EAS adapters have solved all these problems, just few people in US know about this huge innovation, SADLY to say! To promote European Safety Shutters, we have decided to drop the price of the most popular EAS adapters to the same price of EA adapters (without safety shutters) . That is, we are willing to GIVE AWAY our new 20 years PATENTED just invented new feature for FREE …. Yes, only we do it right, so compact, and so easy to use). It took our R&D team 2 years to finally solve all the annoying problems associated with the 30 years old WAS design. It will be well worth everything if our price cut Saves Even One Little Child (or an Adult). Three 20 Years Innovation Patents Innovation Patents Require True Technology Breakthroughs It takes Two Years to Go Through Very Vigorous Patent Office Exams! 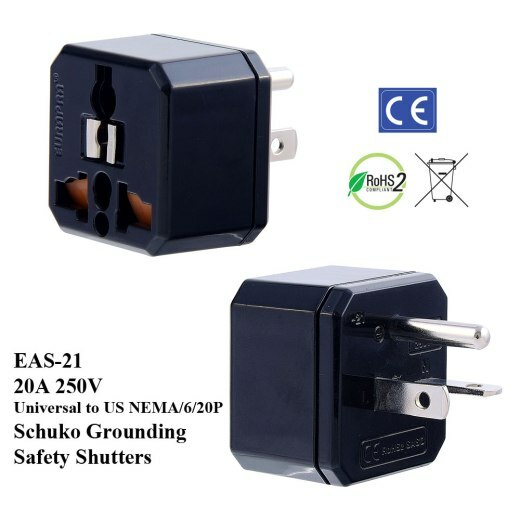 Focus on Safety Some plug types including EA-9 do not truly require the extra Schuko ground metal It is there for additional protection – if you get shocked the Schuko ground metal is there to save you. Certifications CE, RoHS2, PAHS, SGS. 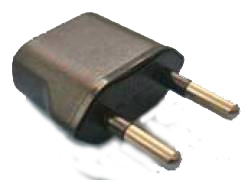 After 30 years of no change, our EA / EAS plug adapters are just awarded by the US patent office two 20 years of INNOVATION patents (the third one is pending for their strict review). The completely redesigned internal structure gives EA / EAS adapters the ability to support up to 20 Amp, not 6 Amp the 30 years old adapters can support (yes, all the markings on them are lies). This is why we have two trade marks for them: EuraPra and TruAmp. 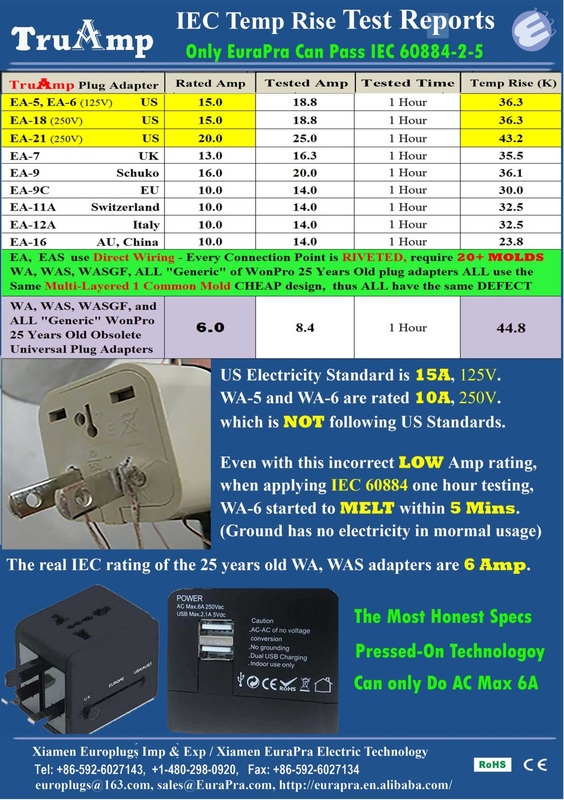 EA/EAS is the only universal plug adapter truly supports IEC 60884-2-5!! The extremely high quality materials used to build EA/EAS make them extremely Fre Resistant and virtually UNBREAKABLE. This is why we are more than confident to offer “FIVE YEAR WARRANTY” (please refer to our feature list earlier). This is why Thailand distributor TOSHINO took a very creative picture to highlight our extremely high quality: Slamming our adapter against the concrete, the concrete broke, but our adapter is intact! 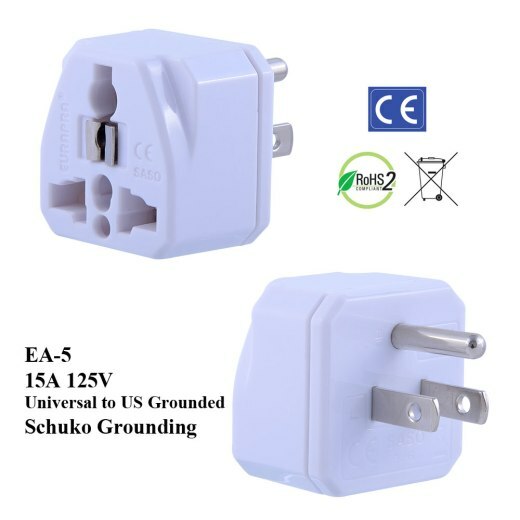 Please refer to our “EuraPra Universal Plug Adapters” technical PDF file for a summary of our various new innovations, including our patented “Schuko Grounding” innovation. This is a US NEMA 6/20 outlet: 20 Amp 250V. The adapter used is EAS-21 with safety shutter. Perfect for my use. 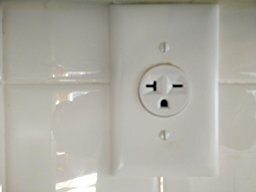 Already have a U.S. 220v/20amp outlet in the kitchen. 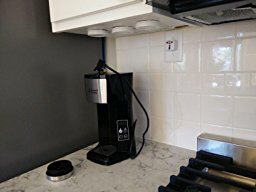 Could have connected a U.K. coffee maker by changing the plug on the appliance. 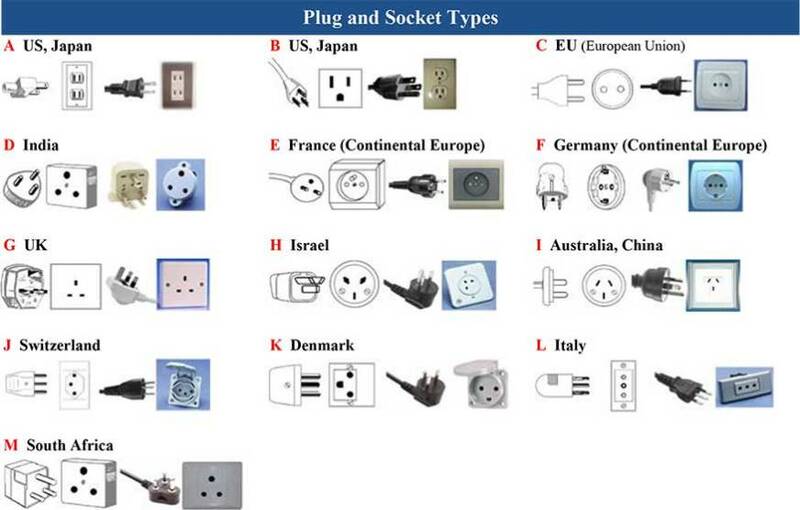 This would mean cutting the plug off and putting a new U.S. plug eveytime I bought an European appliance. Cumbersome. 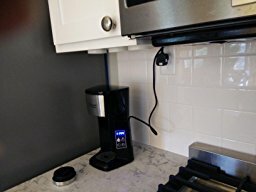 So, bought this l adapter and plugged the coffee maker into this and the adapter into the wall outlet. Everything is snug. Recommend it.